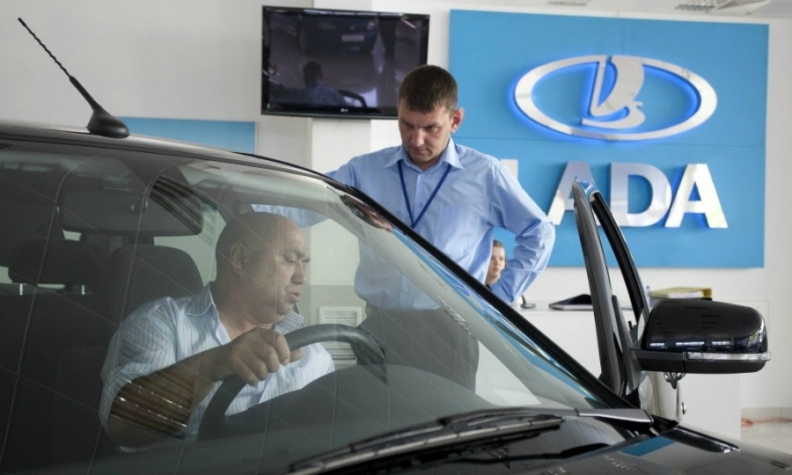 AvtoVAZ expects Russian sales of its Lada brand to fall by up to 15% in 2014. MOSCOW (Reuters) -- Renault-Nissan has completed a deal to take control of Russia's largest automaker, AvtoVAZ, Renault said today. A Renault spokesman said the deal, which was agreed on in 2012 and expected to be sealed this month, was completed on June 18. The Renault-Nissan alliance now has a 67.1 percent stake in the holding company that controls AvtoVAZ. The holding, in which Russian state technology conglomerate Rostec owns the remaining shares, in turn controls 74.5 percent of AvtoVAZ. AvtoVAZ, which controls Russia's top-selling Lada brand, reported a loss last year as slowing economic growth depressed Russian car sales. Last month, AvtoVAZ CEO Bo Andersson said he expected Russia's car market to shrink by as much as 20 percent this year as economic growth slows, but said the Russian carmaker’s deliveries will likely fall less than the industry, by 10 percent to 15 percent, allowing AvtoVAZ to increase market share to 20 percent in 2016 from 17 percent now. Last year, the carmaker’s deliveries fell 15 percent to 456,309, while Russia's No. 2 brand, Renault, increased deliveries 11 percent to 210,099. Renault has said it is confident about its long-term prospects in Russia, despite Western sanctions over the conflict in Ukraine and declining sales. The French carmaker, which owns 43.4 percent of Nissan, paid $1 billion for an initial 25 percent AvtoVAZ stake in 2008.